Dying in the "Port of Barak Varr" Chapter 8 (Rank 16-17) in "Barak Varr" map ( Greenskin pairing) respawn the player in the "Foultooth's Warcamp" (RvR Warcamp of the same map). 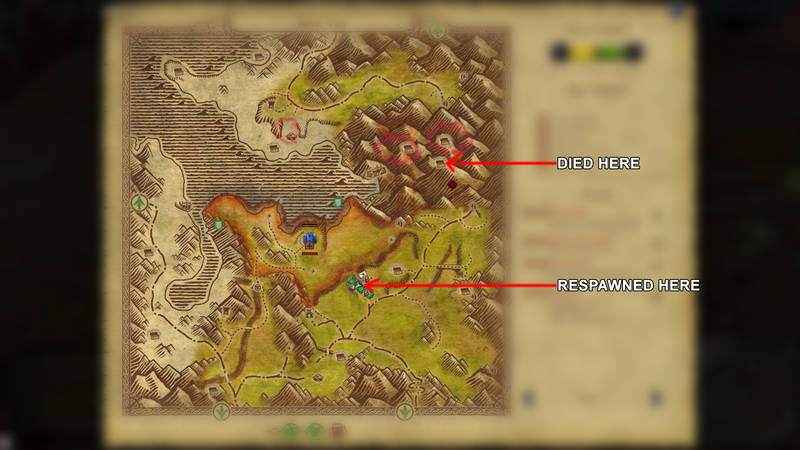 Player should respawn near the Chapter 8, where the healer is (approx. 56k-26k). There is a lot of places like this where you dying in chapter and respawning in RVR warcamp.